A fifth man has been arrested in the UK over Monday's bombing at a pop concert at Manchester Arena, as police said they were investigating a "network". Suicide bomber Salman Abedi killed 22 - including children - and injured 64 outside an Ariana Grande gig. The UK terror threat level is now at its highest level of "critical", meaning more attacks may be imminent. In Libya, the bomber's father, Ramadan, and younger brother, Hashem, have been arrested, Reuters is reporting. Hashem, 20, was reportedly arrested in the capital Tripoli on suspicion of links with so-called Islamic State, according to Reuters. Older brother, Ismael, was detained in Chorlton, south Manchester, on Tuesday. Their father was in Tripoli when he was arrested, Reuters has told the BBC. In Wigan, police said the arrested man had been carrying a package which is now being "assessed". 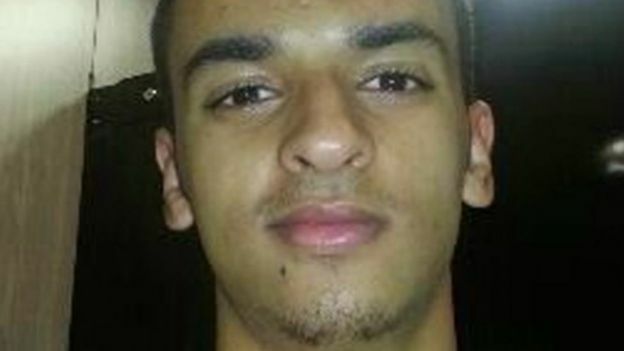 Eyewitness Connor Britton told the BBC the man had been held by "undercover armed police". He said workers in his office had been told to stay inside and lock their windows, and that a red package had been "moved to a clear part of the street". Meanwhile, military personnel are being deployed to protect key sites after the terror threat level was raised. Home Secretary Amber Rudd said: "[Monday's attack] was more sophisticated than some of the attacks we've seen before, and it seems likely - possible - that [Abedi] wasn't doing this on his own." BBC security correspondent Frank Gardner said that the bomber is thought to have been a "mule", using a device built by someone else. What's happening with the investigation? Five people have been arrested in the UK since Monday night, including Abedi's older brother Ismael, 23. 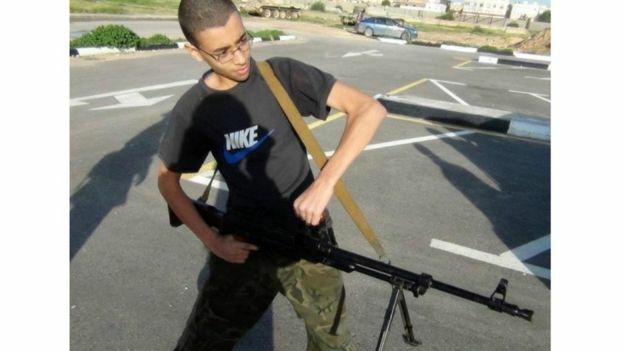 A local counter-terrorism spokesman told Reuters that Abedi's younger brother, Hashem, was arrested in Tripoli on Tuesday. Reuters are also saying their father has been arrested. Before news of the Tripoli arrests emerged, Greater Manchester Chief Constable Ian Hopkins said on Wednesday: "I think it's very clear that this is a network that we are investigating. "And as I've said, it continues at a pace. There's extensive investigations going on and activity taking place across Greater Manchester, as we speak." Police also raided a block of flats near Manchester Piccadilly station in the city centre, requiring them to carry out a controlled explosion and briefly close the railway line.